A woman who was hiding a recent miscarriage from her family fatally stabbed a mother and abducted her infant daughter, Houston police said Thursday. Erika Jisela Miranda-Alvarez, 28, is charged with capital murder in the death of 33-year-old Carolina Flores, police Chief Art Acevedo said at a news conference. He said Miranda-Alvarez had known Flores and Flores' brother for about five years. Miranda-Alvarez concealed her miscarriage from family members and claimed that she had just returned from the hospital after giving birth, Acevedo said. "The woman was due to have a baby in January and she lost that baby," he said. The body of Carolina Flores was discovered around midday Tuesday. 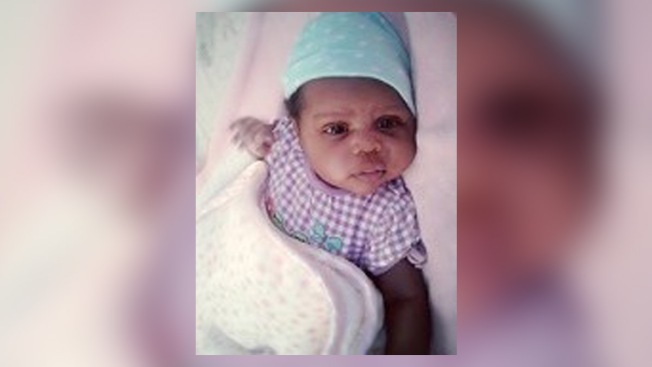 Police initially said they believed 6-week-old Shamali Flores was with her father, but he was found late Tuesday in San Antonio without the girl. A statewide Amber Alert was issued as part of the search for her. Acevedo would say only that "investigative efforts" led police to a southwest Houston apartment complex early Thursday where officers happened to spot a couple holding a baby. They questioned the couple and determined Miranda-Alvarez was holding Shamali. The baby was not harmed. Miranda-Alvarez was being held without bond at the Houston city jail. Online jail records don't indicate she has an attorney who could comment on her behalf. The suspect's boyfriend has not been charged and Acevedo said it appears he wasn't aware of the miscarriage. Investigators believed the couple was preparing to leave the area with Shamali, he said. The baby was evaluated at a hospital and is in the custody of state Child Protective Services. Police officials at a news conference Wednesday had said the person who took Shamali likely knew her family. They also said it's possible the girl was taken by someone who had lost a child. Acevedo on Thursday credited Houston police and FBI with using that theory to help direct the course of the investigation. "Everything our investigators theorized turned out to be true," he said.